This is from a post on Instagram when I was doing the first round of the 21 Day Fix. You can do it! Just put them on. Sometimes I don’t feel like working out, like today. I’d rather leave the sneakers on the floor. But I said NO and put them on anyway… Very slowly, but they are on. Notice the change of carpet? 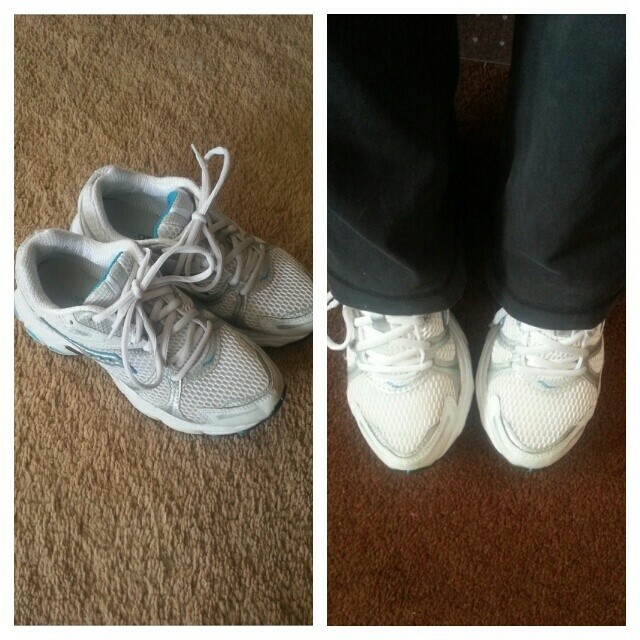 I even made it to the room I workout in with my sneaks on! You can do it! Get out there and get those sneakers on and sweat it out! How long does it take to get your sneakers on? When is it the hardest to get them on and get that workout done? To see other posts on the 21 Day Fix, go HERE. Enter your email below and click Follow to subscribe to my blog.